When Taliban were in Afghanistan, they did not allow to female to go to school for learning education which is very important for life. After almost seven years that have passed since the Taliban's regime fall down from power. Fortunately we did lots of improvement to restoring females human right in Afghanistan, the situation in Afghanistan is going to be changed, actually it is changed. If we take a look to the past seven or eight years majority of Afghan civilians lived without any primary and important necessities, for example there wasn’t any clean drinking water, paved Road, electricity, hospital, and school especially for girls. On that time there was only 16% literate and educated women and girls, if the girls wanted to continue their education first of all there wasn’t any school, college or universities for them, in the second step they were not allowed from their family, because it was a crime according to Taliban’s rules. However, I'm happy, they are being driven out of Afghanistan and I think enlightened people agree with me. Now a day, we have new Afghanistan especially in education field, Students who were have to sit on earth or never have the opportunity to study. Government has done a wonderful job for them and for Afghanistan and paved the ground for women and girls studying. Habiba High School is one of the most experienced schools in Afghanistan. That was destroyed during the black period in Afghanistan. But the Ministry of Education by rebuilding the Habiba high schools that was almost forgotten has shown that we can improve our educational system. By rebuilding the Habiba high school people interested to attend schools and learn knowledge. Day by day, many students come to the school to register. Among them, there were a lot of girls who were interest to attend school. Then government stared to sign contract for rebuilding and building new schools in Afghanistan especially for women and girls. Government has built many schools in every provinces, and villages. Many new schools were built with cooperation of National Solidarity Program 24 partner organizations. As Provincial Reconstruction Team (PRT) in many schools with financial assistance to build the NATO alliance in Afghanistan. 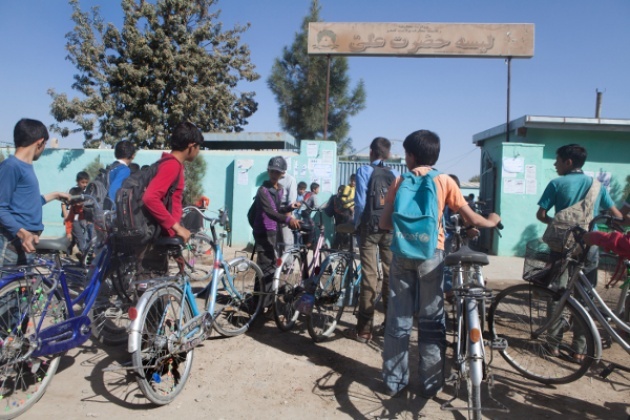 The Canadian government has building 50 new schools for girls and boys in 2011 in Kandahar Afghanistan. 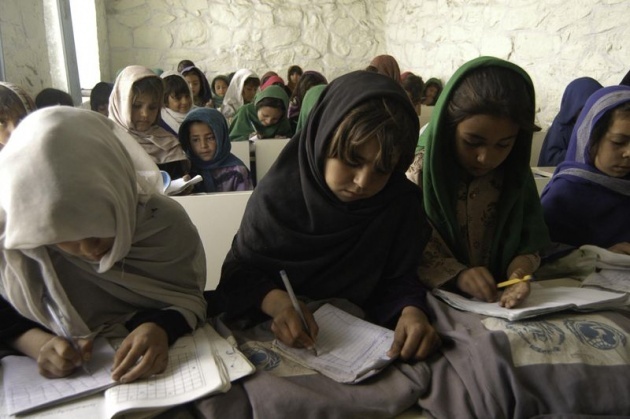 Government of Afghanistan by financial support of The United States International Development could build more 680 schools for boys and girls across the country in 2008. Afghanistan, contributed much to education. Local and foreign NGOs, national and international companies in hundreds of schools across the country have been showing up in Afghanistan. (Film annex) and Afghan citadel software companies are helping the Afghanistan students by providing computer classes for every school in Herat province, with all equipments, like computers, networks etc. It’s noticed to say for providing classes for schools these companies used Afghan girls that cussed make jobs for girls and they can make money. Film Annex's Afghan Development Project allowed Francesco Rulli to collaborate with Citadel's Roya Mahboob to establish Film Annex Afghanistan and create a web channel called the Afghan Development Web TV. The mission is to show the world the new face of Afghanistan by broadcasting current events videos, interviews, and news clips as well as archival material directly from Afghan Youth Development. In the interview, the first step in education for Film Annex is 40 Internet Classrooms and 400 computers to connect 160,000 Afghan children.